True to form, Brando’s Speakeasy is anything but what it seems. 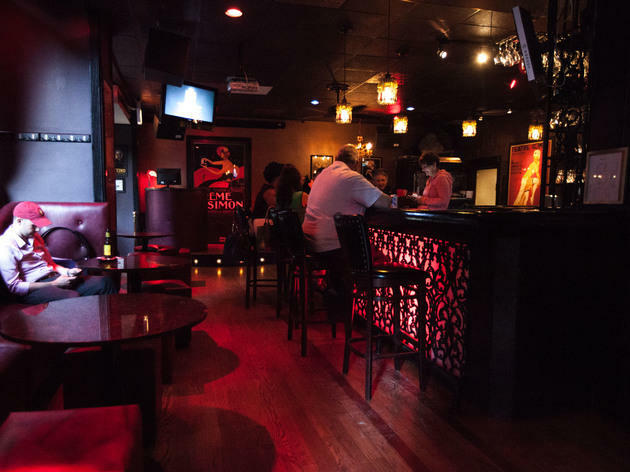 It’s a lounge, but conversation flows more like a neighborhood haunt. 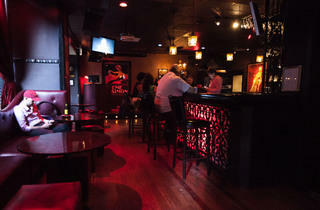 Its website promises a martini bar, but the list is mysteriously MIA (most people seem to down beer anyway). The decor and vintage posters throw it back eras, but the karaoke and late-night dance music add modern flair. While it’s not Don Vito Corleone meets Al Capone as the name might imply, Brando’s is definitely a mash-up. El stop: Blue to Jackson; Brown, Orange, Pink, Purple (rush hrs) to Library; Red to Jackson. i've been going here for a few years now, great vibe, great drinks and very friendly and accommodating staff. Leave your inhibitions and sing your favorite songs! Awesome pop-up going on for the holidays called Miracle on Dearborn Street! Horribly irresponsible staff. There was a drunk belligerent patron there, throwing things at others and the staff didn't ask her to leave. I'll never go there again and I wouldn't advise anyone else to go there either. Dangerously overcrowded. The pizza was also horrid: poor quality sausage, grainy texture to the crust, and absolutely season-less. Don't waste your time.